You may already have your continental spring and/or summer breaks sorted, but describing the prime window in which to see these destinations as short would certainly be an understatement. With this in mind, there is no better time to start considering a break during the winter season and the Caribbean offers one of best choices. Plus, by this point, all of the kids will be back at school – enabling you to enjoy a sense of peaceful tranquillity. The Caribbean may seem far away, but you would be surprised by the range of cruises available from the UK in 2019. Cunard and P&O Cruises are leading the way in terms of cruises to the Caribbean from the UK – both of which are renowned for offering some of the finest quintessentially British experiences on the seas. This week, we take a look at some of the most beautiful Caribbean island destinations you can visit on board selected sailings from the UK. St. Kitts is the larger of the two islands that make up the Caribbean nation of St Kitts and Nevis. This beautiful island is renowned for its enchanting natural beauty, with lush green hills, an expansive rainforest and an array of beautiful golden beaches to enjoy. One of the best ways to admire it all is to head to Brimstone Hill Fortress – a national park and a UNESCO World Heritage site. The more adventurous of visitors may appreciate the diving opportunities available, with many vibrant coral reefs and fascinating shipwrecks to discover. 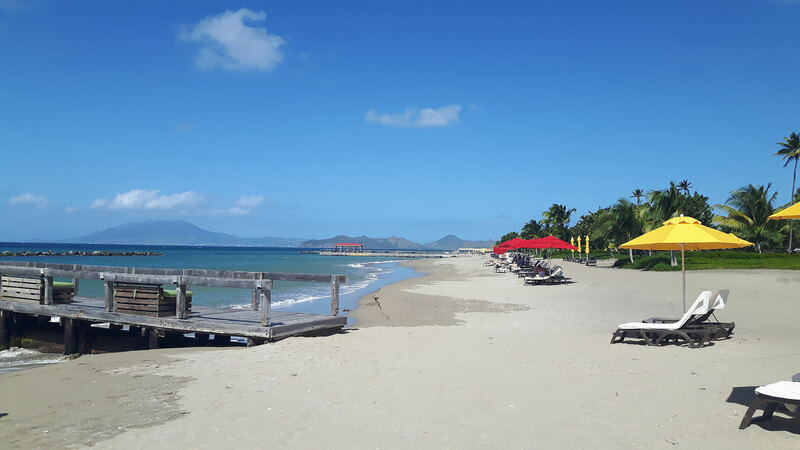 Martinique offers a fine blend of Caribbean scenery and French culture, with many fabulous beaches upon which to relax while also providing a chic and cosmopolitan setting. The mountainous landscape reflects the volcanic history of the island, with an eruption in 1902 devastating the former capital of St-Pierre. 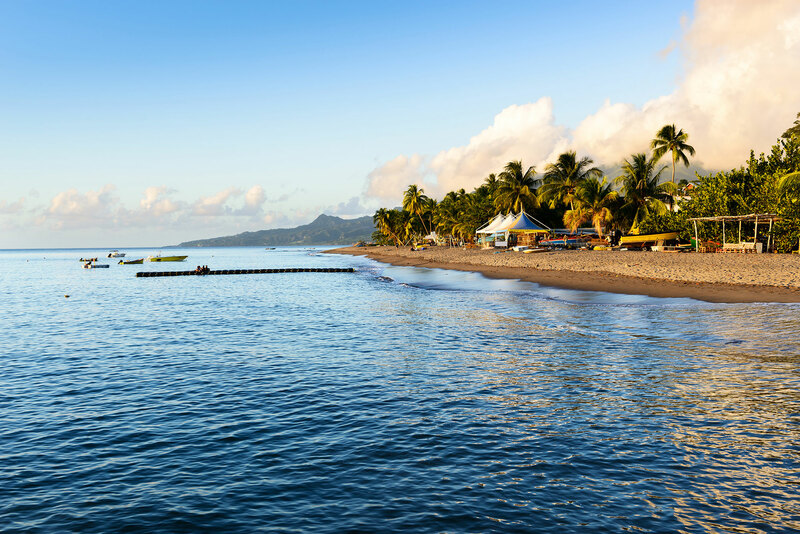 The southern regions of the island are home to Martinique’s finest beaches, while the north is home to many lush-green rainforest areas. 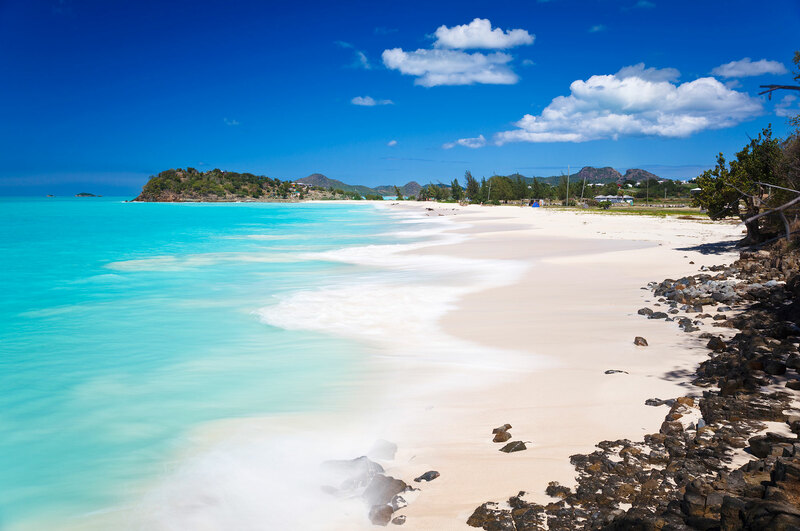 Much like St Kitts, Antigua is one of the two islands that make up Antigua and Barbuda and is home to an energetic culture. As part of the British Empire until the 1980’s, much of this influence remains throughout the island to this day. One of the main landmarks is the historically English Nelson’s Dockyard, while pastimes on the island include cricket. Unlike other islands, the beaches you will discover are generally much less crowded than neighbouring islands and you are sure to find somewhere to call your own for the day. 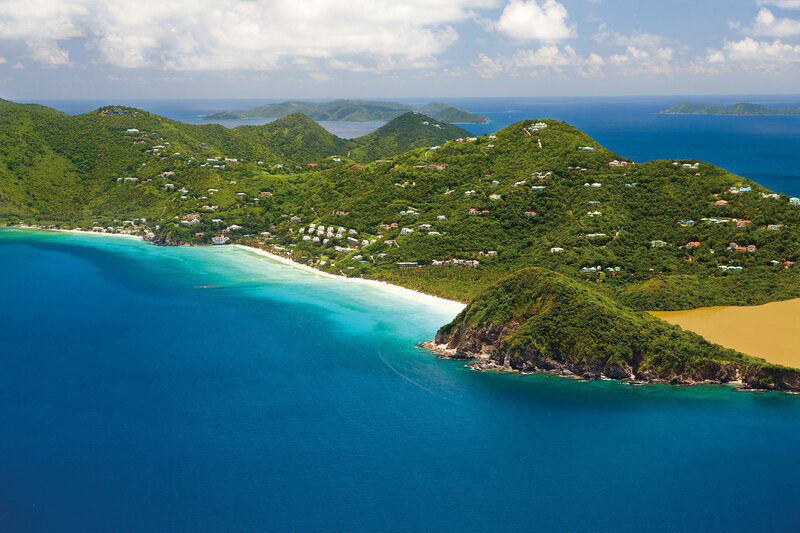 Tortola is a real gem of the British Virgin Islands, offering an amazing range of white-sand beaches that will take your breath away. There are many beaches to choose from, each being perfect for a different reason. Cane Garden Bay is one of the most popular beaches for relaxation with both visitors and locals alike, while Josiah’s Bay is a much better option for those looking to enjoy a spot of surfing. Many beaches offer bars, where you can enjoy some of the local beer or rum while soaking up the sun. These are just four of the many amazing destinations you can visit on board a fabulous Caribbean sailing out of the UK. If you are interested in finding out more about the full range of Caribbean cruises from the UK, why not get in touch? Contact our friendly Cruises from the UK team via the freephone number above.